Nobody prepares for accidents as bizarre as these. If so, we'd suspect this camera crew would've set up a couple dozen yards back! 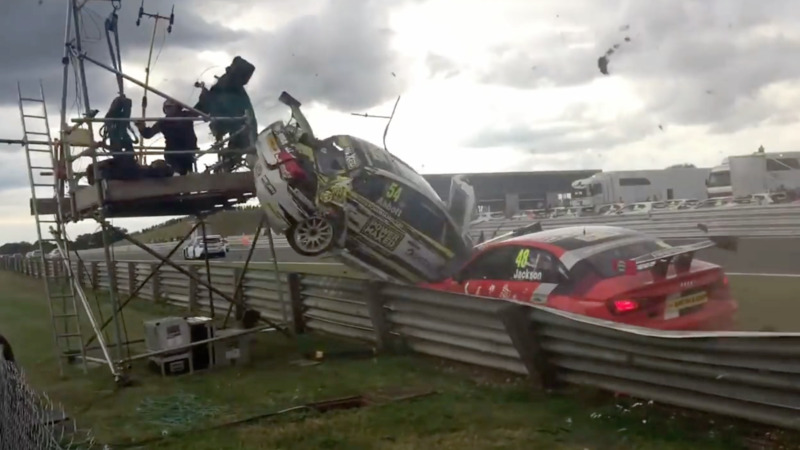 This adrenaline-pumping racing start at the British Touring Car Championships looks like something out of "Mario Kart" where you're bumping into your friends for that coveted #1 spot... until a camera guy high in his perch gets caught in the crossfire. Next, we're still shaking our heads at an impossibly "parallel parked" Mustang at this Texas gas station. Most people can't park like this even if they try!